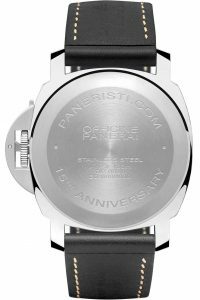 When Panerai released the PAM634 15th Anniversary Paneristi edition earlier this year it was met with a bit of mix emotions among the forums community that it’s supposed to represent. In most cases the design tends to rise to the top of the discussion boards when a new piece is released and even more so when it’s a Paneristi edition. 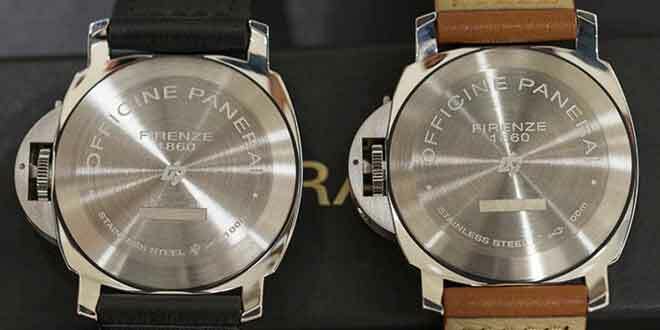 This time the a few interesting choices made by the Officine Panerai seem to have the community in an uproar of sorts. More fuel was added to this fire when after Watches and Wonders show this year, a pair of new entry level pieces were announced, the PAM630 and PAM632. The first sticking point in regards to all three of these models is the snapback case that is being used. Long time fans of the brand claim is that it steps away from the heritage of the brands diving roots and all the screw back cases before it. I have read many comments online that the pressure and depth rating is not on par with all of their other watches being rated at 10 bars instead of 30. The one thing that a few have forgotten is that many of current models are already rated at 10 bars, such as the widely popular PAM372. So it all goes back to the snap vs screw in method. The snapback case actually allows the it to be positioned correctly showing off any of the text etching on the case back where as on a screw down they don’t have any control of how it lines up. As you can see in the picture this allows the Paneristi edition text to be right side up versus off center or at an angle. Along with the case back the bezel on the front of these models is also part of the case or snap in vs. being screwed on to the case as a separate piece. The next change tugs at my heart a bit more than the snapback case and bezel. It’s the spring bars that are now being used instead of the quick strap change bars or traditional screw in bars that we have grown so accustom to. These types of bars have allowed every Panerai fan to change their straps very easily and giving the watch a completely new look whenever their hearts desired. With the spring bars it becomes a bit more cumbersome and the necessity for a spring bar tool comes into play. Don’t get me wrong you can still change the strap, just not as easily in my opinion. Finally we have the use of a non-in house movement. We have seen in recent years Officine Panerai design, manufacture, and produce some great in-house movements so it is interesting to see them put in a third party Unitas movement in these models. Understandably with the inclusion of these movements it allows them to meet a specific price point compared to an in-house one. Although these changes seem to be very minimal to most fans of the watch brand, for some of the early adopters and purists, this seems to be a step in the wrong direction. This move to the “other side” has ruffled a few feathers along the way. The biggest result with all of these changes has been the ability to lower the price point on these models making them essentially an entry level Panerai model. To fans of the brand that have been admiring it from a distance in aspirations to own a timepiece from Officine Panerai, this is actually a good thing. It gives them a couple of viable option at a lower price point. What initially drew me to the brand when I was younger is the history of the brand and the nature of how these watches were used. These watches have been known as diving watches but the truth is you don’t have to be a diver to really enjoy them. In fact I am pretty sure the majority of Panerai owners have never taken their watch into a pool let alone a 100 meters underwater. Yes, I know it strays away from the history, but any change within the very active Panerai community is almost always met with a lot of resistance. I can’t speak for other brands, but with Panerai you will always have a huge divide between what is liked and disliked in the purist community. It’s not a bad thing in any way, it’s a testament of how devoted fans of the brand are. 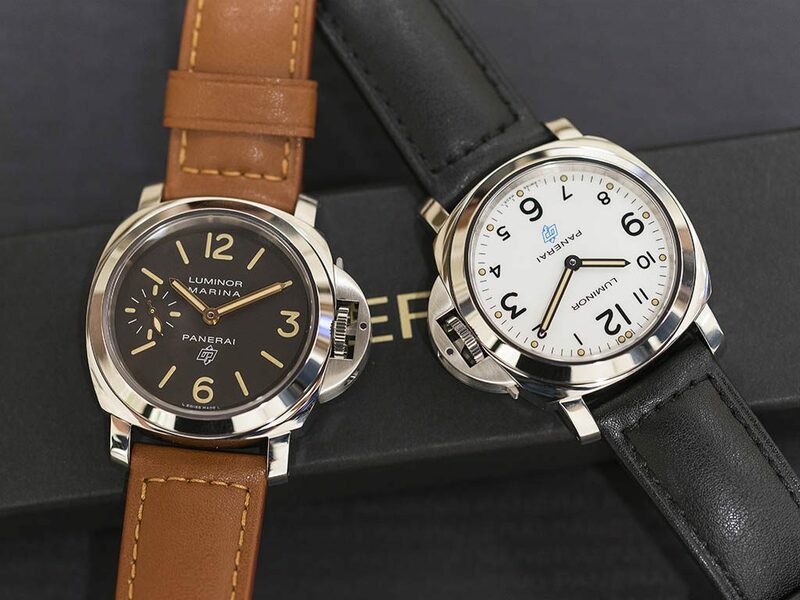 Panerai has continued to try and innovate and bring things that are new to the table but they are usually met with harsh criticism because they feel they are going outside the box from the history of the brand. Take for example the Bronzo for instance. The same watch that is now going for over double retail price on the secondary market was once met with so much opposition in the community, only later to be embraced and sought after as a grail piece. At the end of the day no company is going to be able to please everyone but they have to take chances to bring something new to market as well as appeal to the masses and not just a small sector of the watch community. I don’t take offense to the changes that are made to these entry-level pieces at the end of the day. It’s not like they have gone out and changed every piece in their lineup. 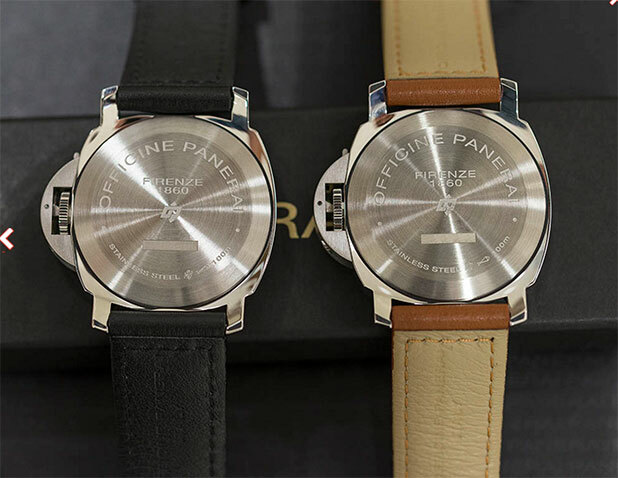 They have just introduced a couple of pieces for the new fans of Panerai that love the look, will never go diving, and don’t care about the snapback, strap bars, or movement. At the same time, I don’t expect the purists or long time Panerai fans to go after these models and that is understandable. At the end of the day I don’t think these were created to grab that particular groups attention. This is just one mans opinion and doesn’t change my feelings leading up to SIHH. I don’t see myself purchasing these pieces for my own collection but it doesn’t diminish the brand in anyway in my opinion. I am looking forward to really seeing what they are coming out with this year and what will be debated the most. There always seems to be a piece that brings out the best in Panerai lovers. Change is inevitable, you don’t have to embrace it, but just be aware it will always be happening whether we approve or not. I truly welcome any comments and or thoughts on this.